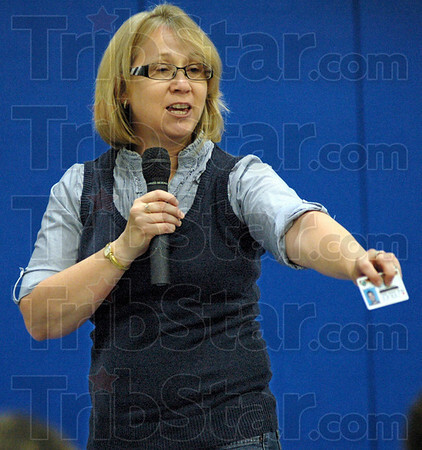 Happy face: Patty Strole shows the drivers license of Travis Auterson with his smiling photograph to students at McLean High School Tuesday morning. Travis died in a one vehicle drunk driving accident. She's urging students to not drink and drive.